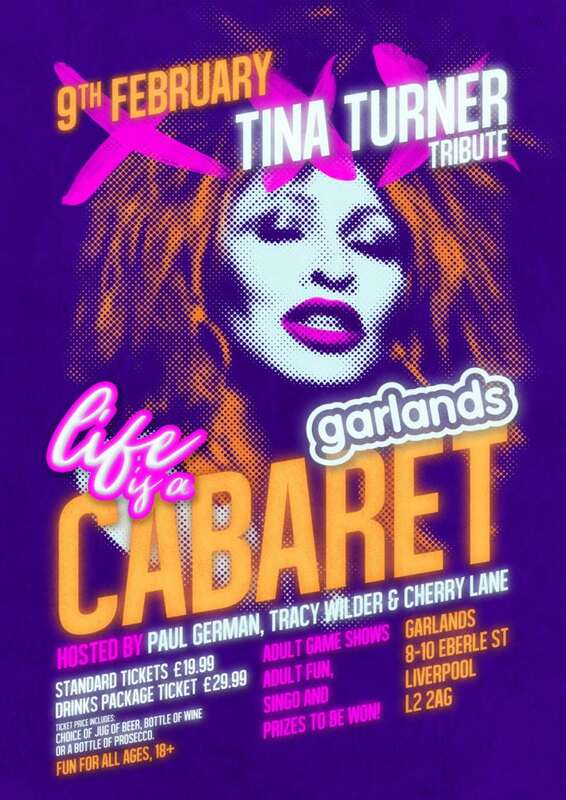 Join our Niqi as Tina Turner on Friday 9th February 2018 at Liverpool’s dazzling nightclub “Garlands” for an evening of cabaret! 18+ Adult game shows, Adult fun, Singo and prizes to be won! Don’t miss out! This will be one fabulous night out!